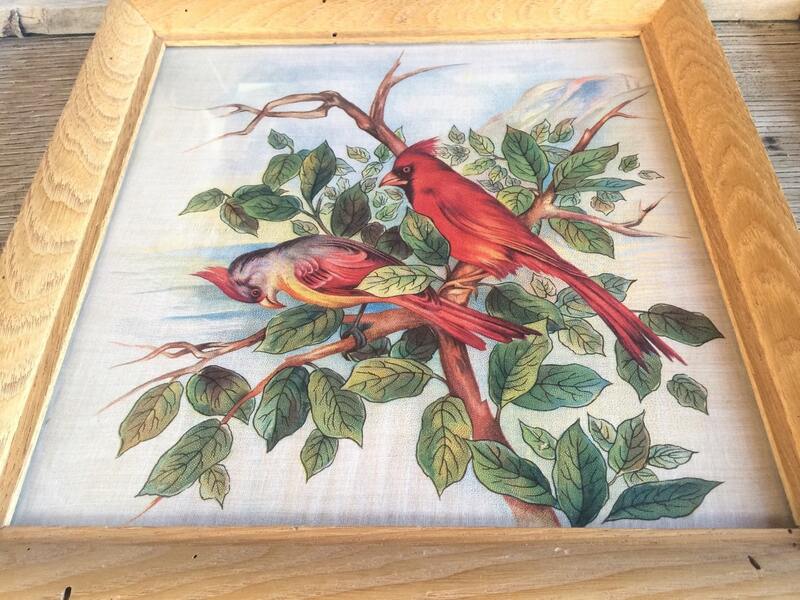 This image on fabric of a male and female cardinal sitting atop a tree branch, mountains and sea in the distance, was so clearly beloved that its owner framed the piece decades ago, in the small northern New Mexico town of Las Vegas. 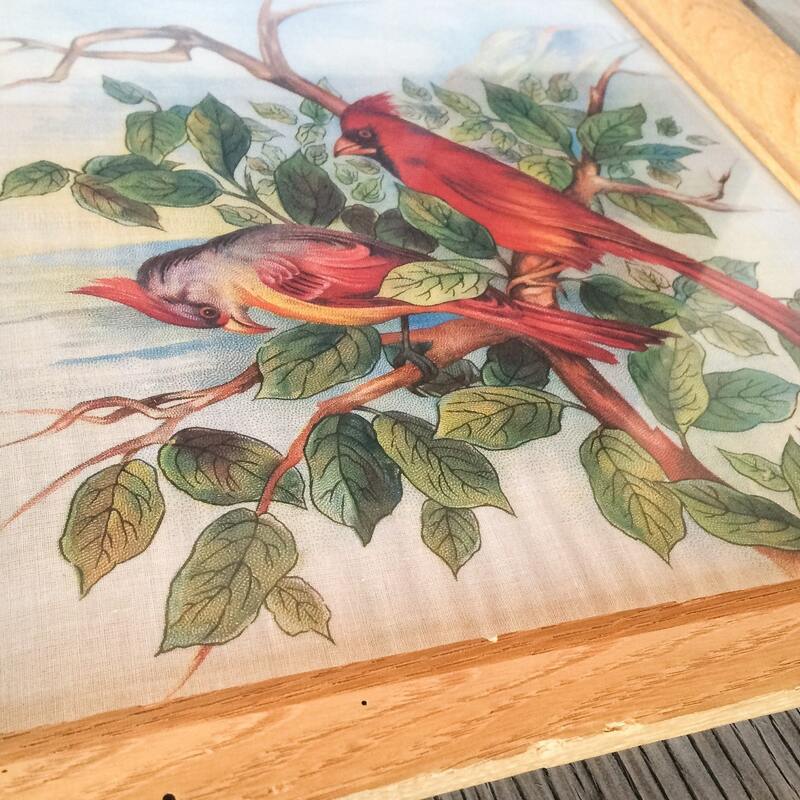 Based on the tag on the back of the framed piece, I estimate the framing to have taken place in the 1930s to 1950s. 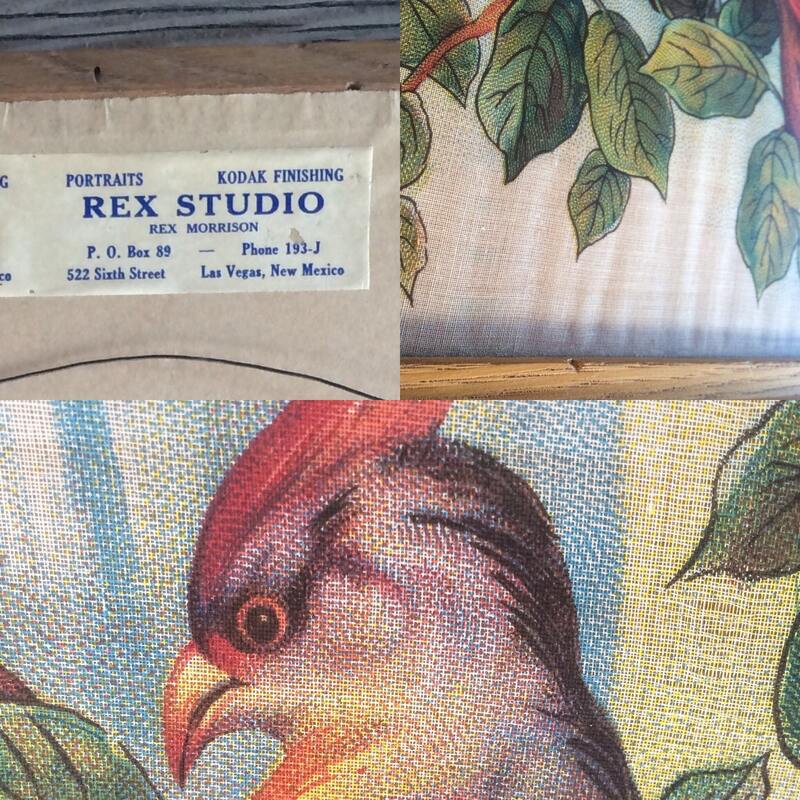 The label is from an old photography gallery called Rex Studio that did Kodak Finishing (Kodak started in 1888) and, importantly, the phone number on the label was old switchboard: I93-J. Seven digit phone numbers came to the U.S. in 1924 (probably a good decade or later in this small town). Given the history of Las Vegas, as both a Spanish colony and a booming hub of travelers coming in from all areas, the fabric is likely Spanish, although it could be French. It is likely linen. 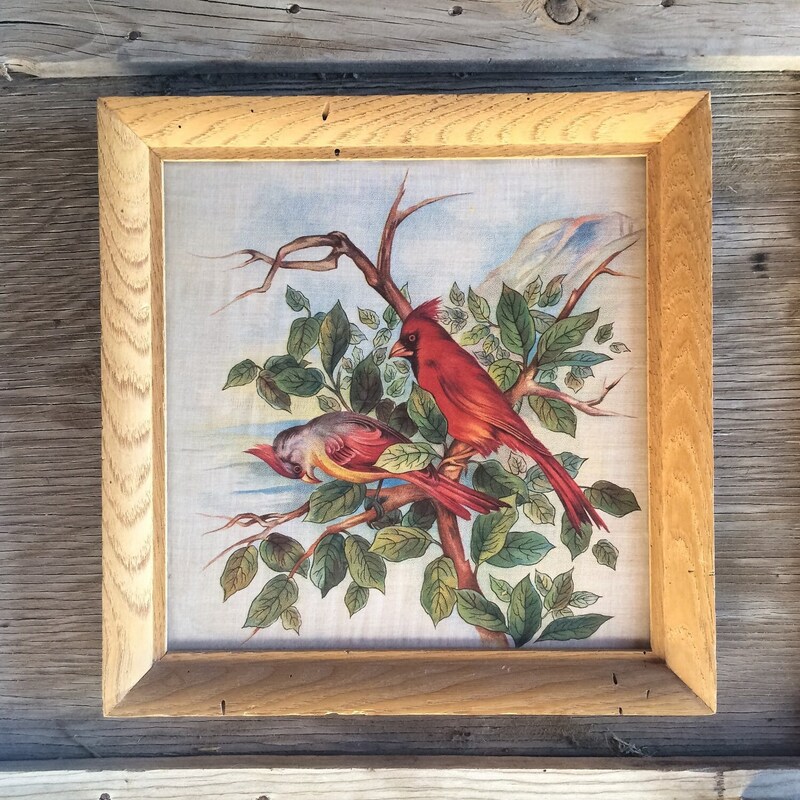 The colors are vivid, in a simple unstained wood frame. Fabric measures about 12" by 12", and the frame about 14-1/4" by 14-1/4". The fabric has buckled in some sections (see Photo 5) yet is otherwise in good vintage condition. 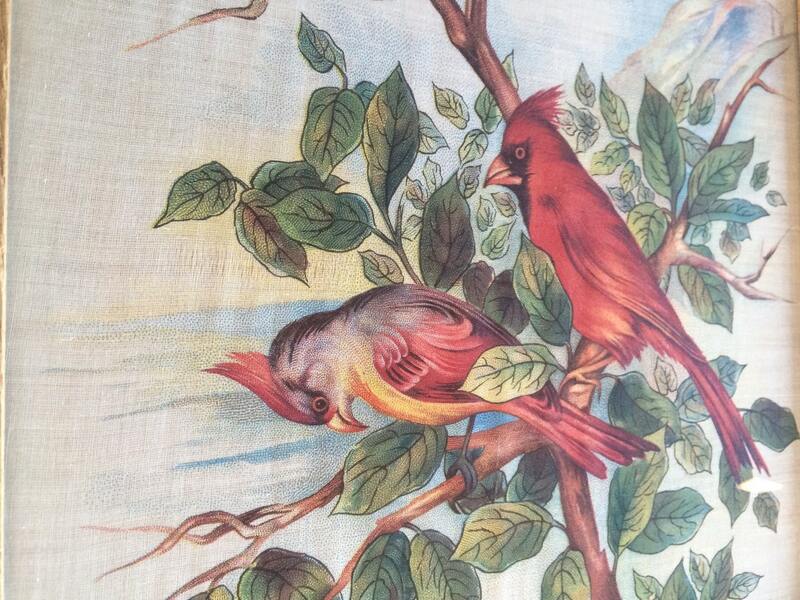 A beautiful old piece for the lover of antique fabrics, cardinals, beauty.